The Mickey Mouse Club is an American variety television show that began in 1955, produced by Walt Disney Productions and televised by the ABC, featuring a regular but ever-changing cast of teenage performers. 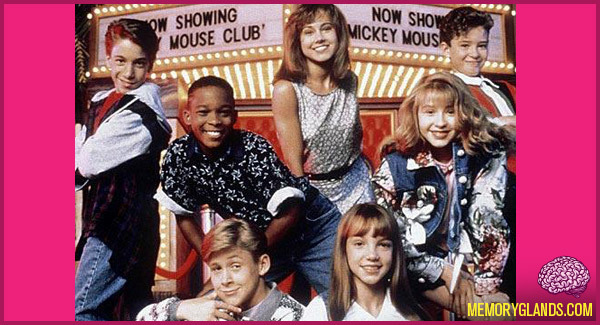 The Mickey Mouse Club was created by Walt Disney. The series has been revived, reformatted and reimagined several times since its initial 1955–1959 run on ABC. The sixth season (above) featured future actress Nikki DeLoach; Grammy Award-winning singers Britney Spears, Christina Aguilera, and Justin Timberlake; and future Academy Award-nominated actor Ryan Gosling.